Some of my earliest memories are of the Houston Museum of Natural Science, thanks in large part to my parents. When I was young, I didn’t go to daycare or preschool; I went to work with my mom every day, and every day at lunchtime, we went to the Museum. With just one visit per year (or, you know, like 200), our HMNS Membership was paid off, and, by age 3, I was hooked. 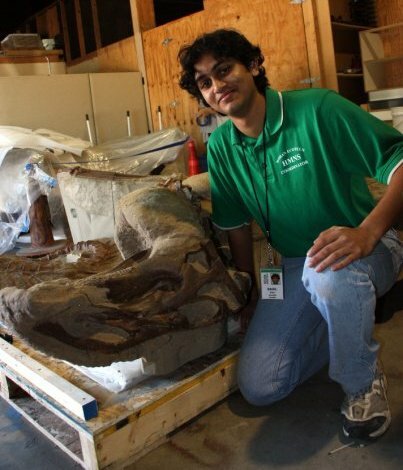 As an Ecoteen, I got to work with various objects and artifacts, including a cast of Leonardo, the Brachylophasaurus mummy currently on display in the Morian Hall of Paleontology. I was a summer camper at age 6, a Moran Ecoteen volunteer at age 15, an Xplorations summer camp employee at age 19 and, finally, a full-time employee at age 22. The Museum is almost a part of my identity at this point. One of my first purchases when I returned home as a college graduate was a Catalysts Individual Membership. Over the years, I’ve fielded many questions from friends, family and visitors to an Outreach program I may be presenting about trips to HMNS, and I wanted to share some of those questions and answers with you all here! My young cousins love the Morian Overlook at the Morian Hall of Paleontology. I’m the oldest of my generation in my family by a long shot; next in age is my younger brother, who is six years behind. But I started coming to the Museum before I had made any lasting memories, and, even today, my young cousins all enjoy HMNS their own way. 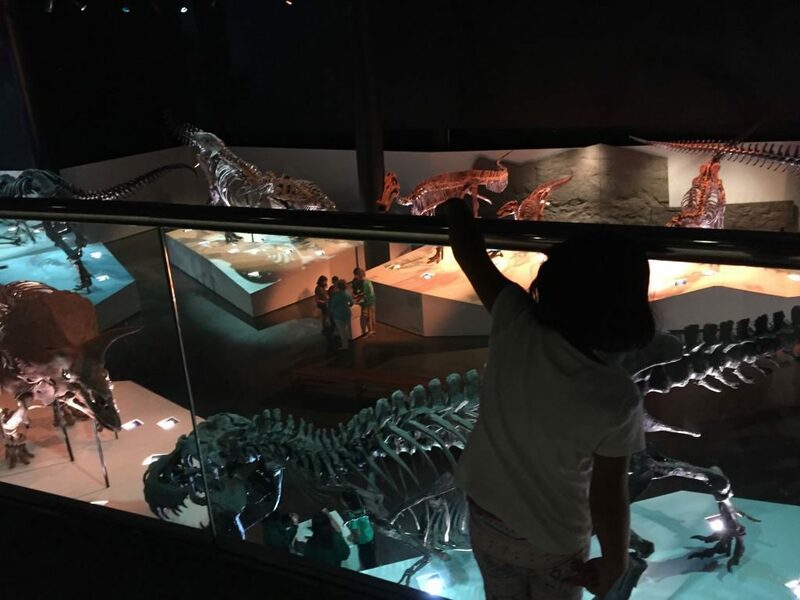 True, HMNS is full of advanced science topics; if the only thing you were going to do is read the scientific names of dinosaurs and gemstones, a small child could get bored easily. But, as my coworker Allison puts it, there is so much to learn by just experiencing the trip to the museum. With her young son, she asks questions about size, shape and color, such as, “Which of these two dinosaurs is bigger?” or “can you name that animal?” or “What color is that gemstone?” The Museum exhibit halls are basically a giant three-dimensional learning tool and picture book! There is definitely a lot to see, but that just means repeat visits are necessary! An HMNS Membership is the best value around. Coworker Allison from above saved $714 in a year full of Museum visits with her family! A Membership can pay for itself in just one visit, thanks to FREE access to the permanent exhibit halls all year as well as discounts on special exhibits, venues like the Cockrell Butterfly Center, souvenirs in the Museum Store and much more! And this way, you can come back as often as you want in case you miss something the first time around. 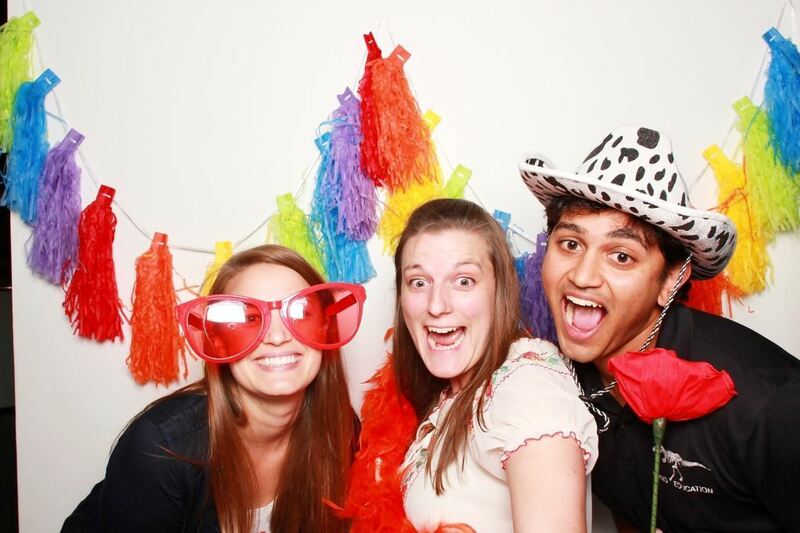 HMNS Catalysts events are always a ton of fun! YES! HMNS isn’t just for families. With stunning exhibits and a constantly cycling series of special exhibitions, there is always something exciting to see at the Museum for all ages. For the young professionals in town, it doesn’t get much better than the HMNS Catalysts group. The Catalysts Membership I purchased was one of the best decisions I’ve made in my post-grad life. This Membership includes four young professional parties at the Museum each year as well as FREE tickets to Mixers & Elixirs, on top of the benefits afforded to basic Members. It’s perfect for the 20’s and 30’s crowd in Houston! Come to the Museum early in the day. Most crowds will come around lunchtime or in the afternoon. If you can get to the Museum before 10 a.m., you should be in great shape to find parking and explore before the rush later. Take a tour with a Discovery Guide! Our Discovery Guide tour team is world-class, befitting an institution of this caliber, and they add an entirely new level to the visitor experience. My five-year-old cousin still asks if “Jurassic James” is free to give her a tour every time she visits. If anyone in your family has special needs, please visit the Accessibility section of our website ahead of time. Our new accessibility guides and resources are extremely useful for planning your day as a family before your visit. 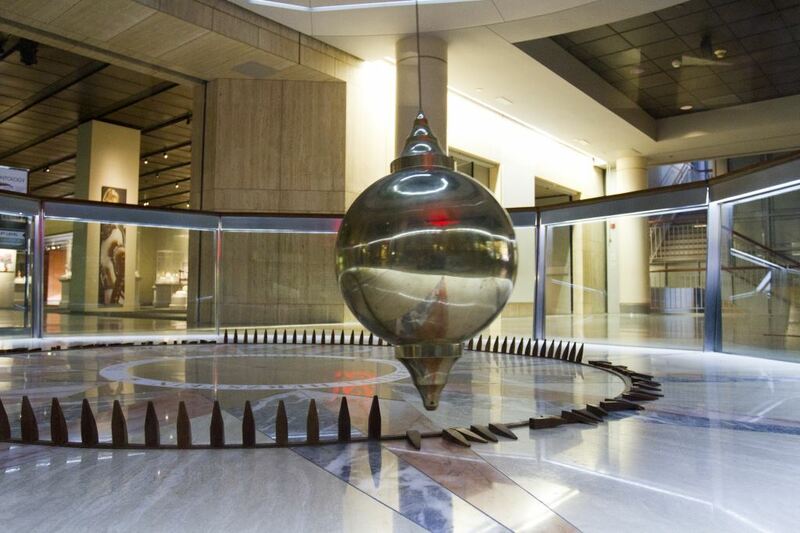 If things get a little hectic, head to the lower level of the Museum. It’s usually pretty quiet, and you can try to find one of the best-kept secrets of HMNS, the animal alcove. You can even look through the glass at some venomous snakes! Buy a Membership! The visitor experience is vastly improved, and you will not be disappointed. It’s really quite the deal! If you have any more specific questions you’d like to ask, feel free to contact us at (713) 639-4629 or email webmaster@hmns.org and it will get to the appropriate party. I hope to see you here soon!